When M&S founder Michael Marks died in 1907, the future of Marks & Spencer was left in the hands of his son Simon. 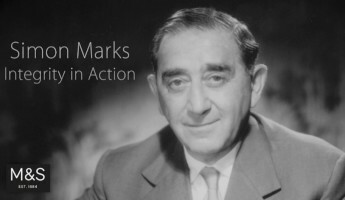 Simon Marks' focus on improving conditions and quality for staff and customers and driving the business forward through innovation and technology played a key role in the development of M&S from Penny Bazaar to international multi-channel retailer. The video is particularly poignant as last week was 50 years since his death.